Wave pool tech is notoriously secretive in the early stages. Each new pool’s marketing value is lashed to interest in that product. A great way to keep mystery and therefore stoke public interest is to show everyone a clip of your new pool. And then say very little about it. Throwback to Kelly Slater’s wave pool debut mere hours after Adriano de Souza’s world title win in 2015. We saw something fascinating and wanted to know more. Kelly just said, “Oh my god! Look! Whaaaat?” Did he go on camera and break down the tech specifics? No. Because Kelly is marketing royalty. 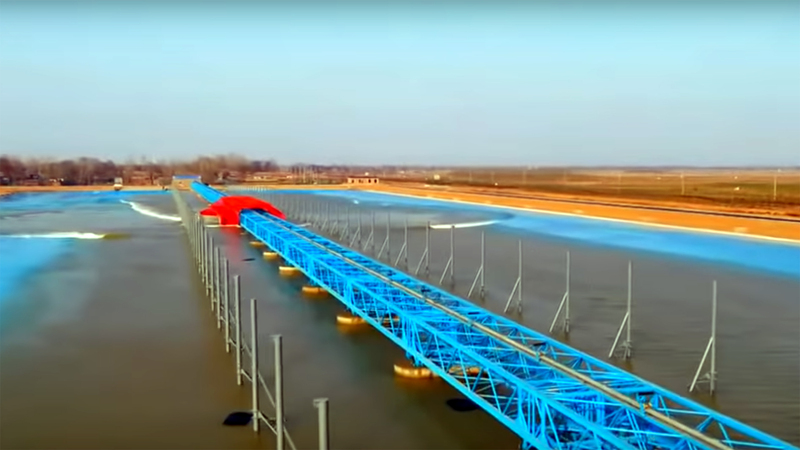 The YouTube debut of China’s new track system (modelled after the Wavegarden Lagoon and Kelly Slater Wave Co designs) follows this pattern of public teasing. We see the giant orange Lego device push out a small wake wave. Nothing more. We know that is said to be a $4million dollar project (a Surf Lakes pool is $20million by comparison). We’ve discovered that it’s in Anyang in China’s Henan Province. And that for such a large, lumbering-cargo-ship looking device, the wave is pretty small. 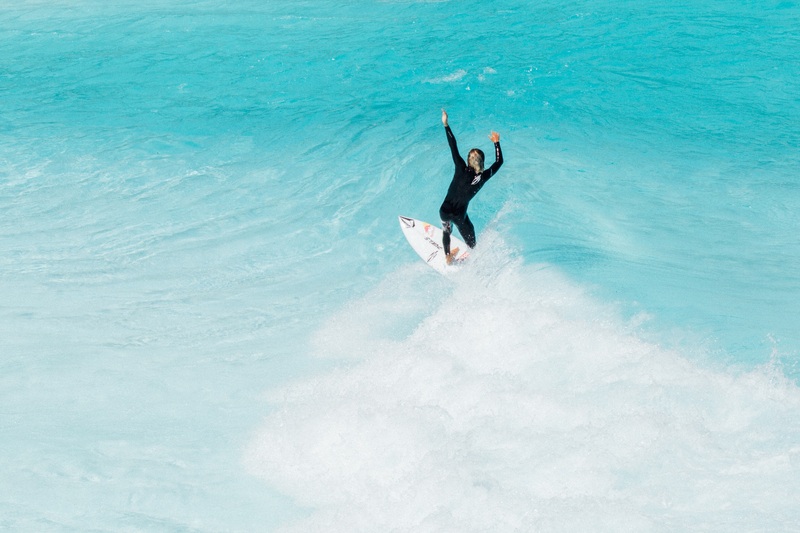 One recurring theme across surf media channels is China’s bid for Olympic gold in surfing. But remember, the 2020 Tokyo Olympics will go down in the ocean. This, despite the WSL’s rush to build one of Kelly’s pools near Tokyo. The Olympic committee subsequently rejected the notion of a wave pool being used in the Olympics. Surfing in the Olympics will be done in the ocean in 2020. But after that? Who knows. Peter Townend, 1976 world champ and coach to Team China, is missing in action during this launch. PT loves nothing more than tease news through his Facebook page. When the China pool debuted he shared Surfing In China’s Facebook post. •   Wave's Technical Information: The lagoon and wave driver are both very large. No confirmed details on size yet.